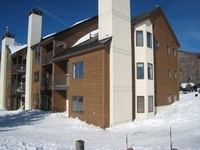 Slopeside at Pico (Killington), this comfortable garden 1st floor condo is truly ski in ski out. 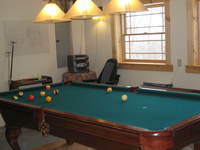 The kids can play in the snow safely, the family can come in for lunch or to change clothes after skiing. A convenient shuttle bus is available that you can hop on if you wish to ski the slopes at Killington Mountain. 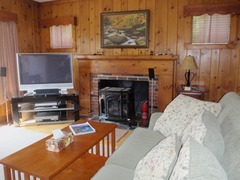 This unit is very convenient to Rutland for shopping, bowling, movies and to Killington for nightlife and dining out. 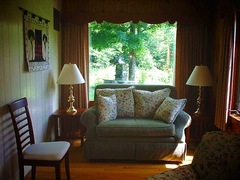 Non Holiday-WINTER 2 night weekend $1400. 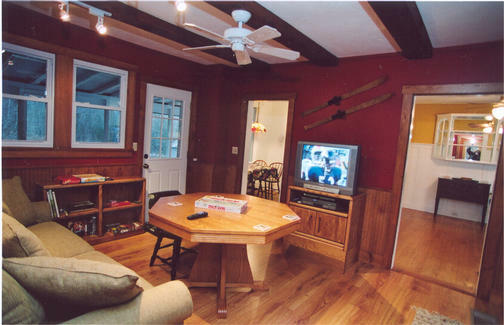 Located in the heart of the Green Mountain National forest, just a 20 - 30 minute drive to Killington ski area and a 3 minute drive or 8 to 15 minute hike to the Chittenden Reservoir. 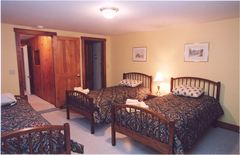 The renowned Mountain Top Inn is approachable by water or 15 minute drive or 45 minute hike. 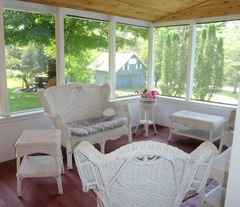 This unique Green Mountain Retreat offers clean clear water great for swimming, kayaking, fishing, hiking, and biking. IN winter, Cross country skiing at the nearby Mountain Top Resort for rentals or bring your own XC skis or snowshoe to to nearby trails and Lake. The Mountain Top Inn offers cozy fireside dining in winter and outdoor fireside cocktails on cooler nights...Or Stay in and create your own outdoor fireside sum-mores gathering in the backyard While others are in the Hot Tub nearby. The wonderful home features a large living room with gas fireplace, great DVD library with large flat-screen TV and surround sound, huge screened porch with hot tub, outdoor field stone BBQ, fully equipped game room, satellite TV, 3.5 baths, garage, boat house, and fishing pond. 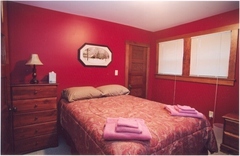 Four bedrooms can accommodate couples with 2 queen bedrooms, 2 full sized bedrooms, and 1 queen futon. The other 3 dorm style bedrooms have a total of 3 twins, one twin and 2 twins. Olhausen vintage with hard wood claw feet, green felt in good condition, 3 sections of 1 inch slate.